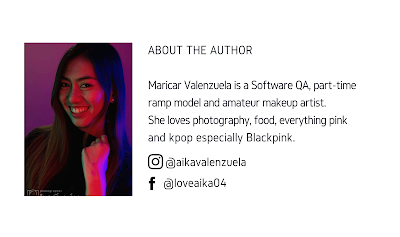 It's now the second month of 2019. 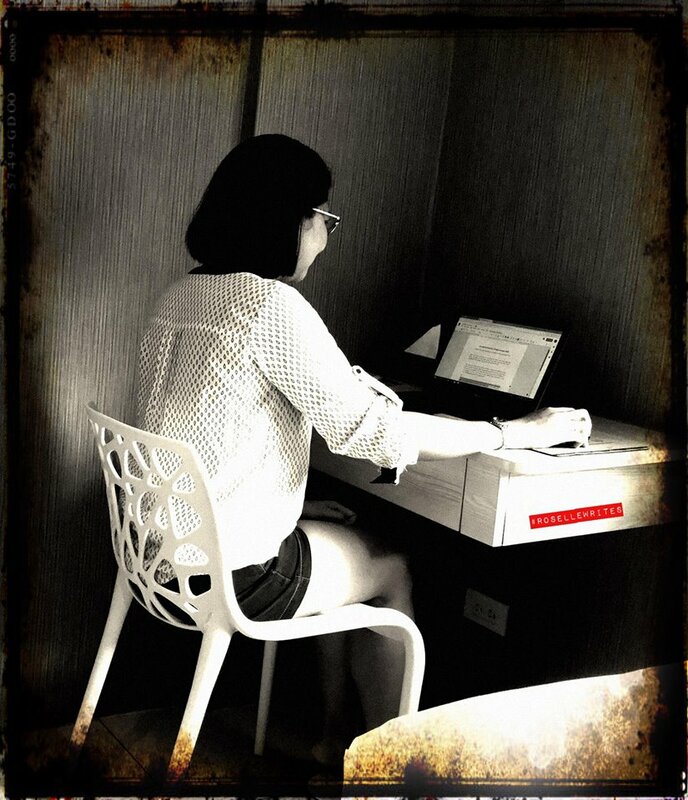 How's your year so far, dear hustlers? Yellow Cab gives hungry hustlers and pizza lovers everywhere a reason to celebrate with the return of its biggest and most anticipated event that is sure to be so worth it—World Pizza Week! 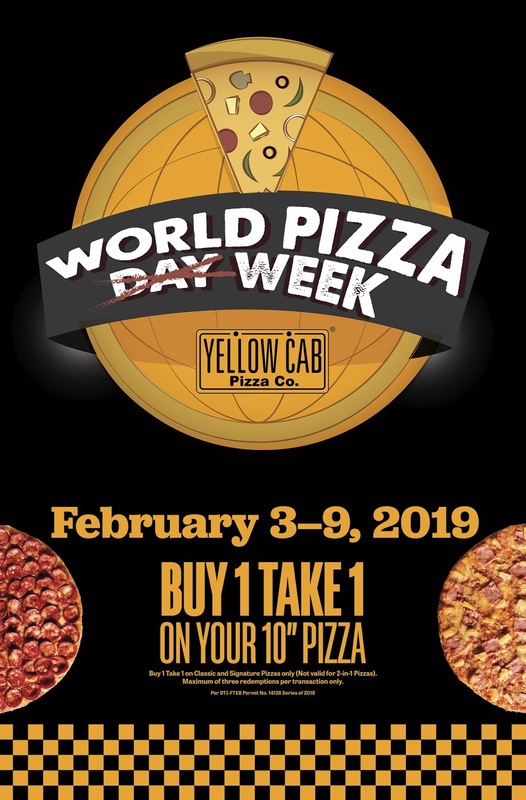 From February 3 to 9, customers can enjoy unbeatable promos of legendary Yellow Cab pizzas featuring generous, edge-to-edge toppings that make every bite so worth it. Starting with a Buy 1 Take 1 promo that will last the entire week, fans of the iconic restaurant can double their satisfaction by ordering two 10-inch pizzas for the price of one. They can choose one flavor from Yellow Cab’s wide selection of Classic and Signature New York-style pizzas including bestsellers like #4 Cheese, New York Classic, Manhattan Meatlovers, and Roasted Garlic and Shrimp, giving them a reason to go back and enjoy World Pizza Week to the fullest at Yellow Cab. If two 10-inch pizzas are not enough to satisfy your pizza craving, then mark your calendar for the main event happening on February 7—Unlipizza Day! 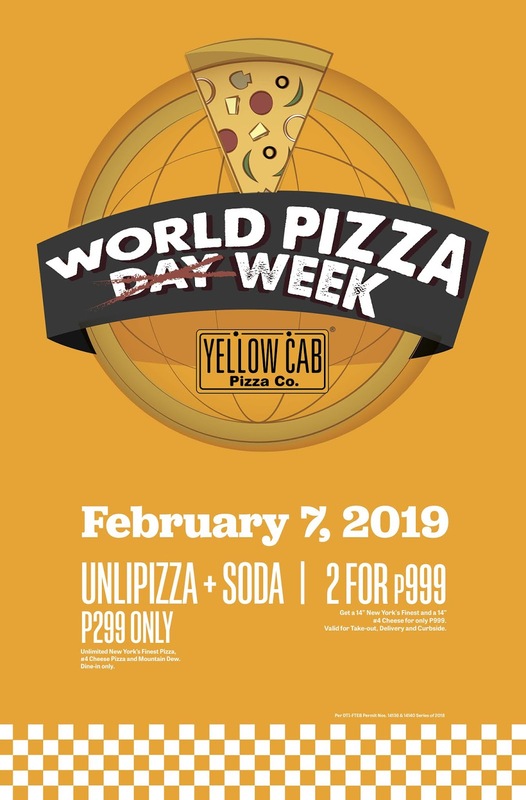 Have your fill of unlimited New York’s Finest and #4 Cheese pizzas, plus unlimited Mountain Dew anytime of the day for only PHP299 when you dine in participating Yellow Cab stores. You only have two hours to eat so better come hungry! Can’t come to our stores on Unlipizza Day? 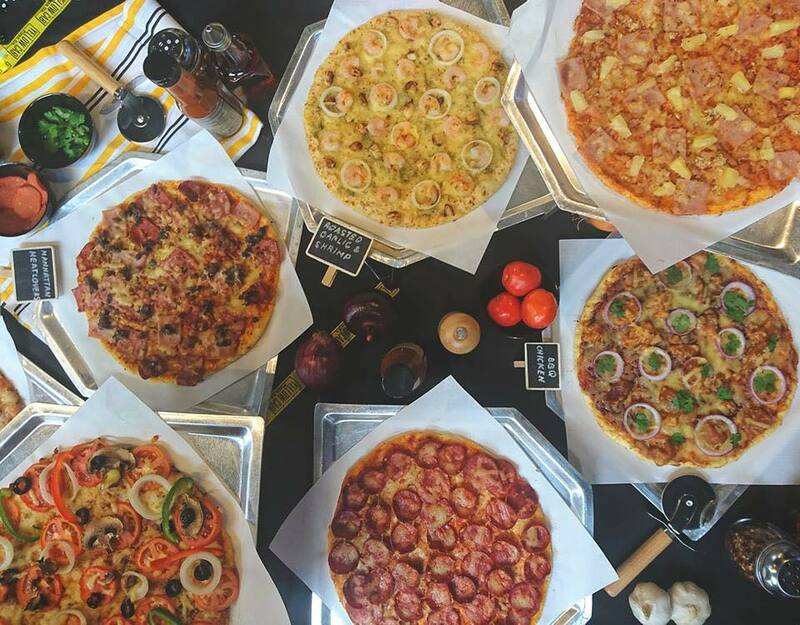 Celebrate World Pizza Week at home or in the office with Yellow Cab’s 2 Pizzas for PHP999 promo. Valid only on February 7, get one 14-inch New York’s Finest Pizza and one 14-inch #4 Cheese Pizza for only PHP999. This offer is available for take-out, delivery, and curbside pick-up only.